The lyric was written by lead singer Bono as a tribute to his father, Bob Hewson, who died in 2001. Bono sang this at his funeral. In the video for the song it was prefaced with the following from Bono "My father worked in the post office by day and sang opera by night. We lived on the north side of Dublin in a place called Cedarwood Road. He had a lot of attitude. He gave some to me - and a voice. I wish I'd known him better." The song shares similar fatherly sentiments with Kite from All That You Can't Leave Behind. 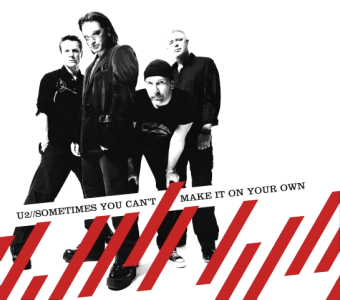 SYCMIOYO debuted at number 1 on the UK charts, the same place as Vertigo, making it the first time a U2 album, How to Dismantle an Atomic Bomb, had two number ones in the UK.